If you are trying to track down a good neighbourhood in Port Stephens, you might like to check out Salamander Bay. Feel the sensation of rushing air blowing by as you shoot down Toboggan Hill Park. If you'd like to rest your head close by, consider the rates at the Anchorage Port Stephens and Oaks Lure. Exhaust the rug rats' energy, and visit Salamander Super Strike. Consider the Anne's Waterfront Haven B&B and Oaks Pacific Blue Resort to be close to this attraction. A terrific Salamander Bay cafe, Gloria Jean's Coffees is certainly worth popping into. Kick back with a good book, nibble on a sweet pastry or just grab a coffee to take away. Once the caffeine fades and your tummy starts craving something a bit more filling, head on over to The Easy Eatery. This well-patronised eatery serves up some seriously delicious meals. If you wouldn't turn down a beer or two before you call it a day, why not stop by Salamander Tavern? Who knows, the bartender may even be able to give you some tips on where to go tomorrow! If you and your travelling companion are struggling to find the right Salamander Bay hotel deal, look into the Soldiers Point hotels guide. 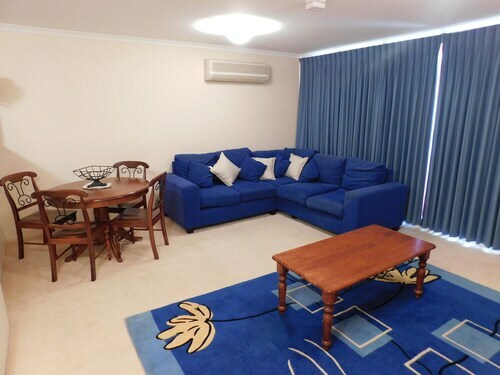 Alternatively, the Wotif One Mile hotels guide has options for you. From flights to accommodation, car hire to activities, we're here to make your Salamander Bay daydreams a reality! How Much is a Hotel Room in Salamander Bay? 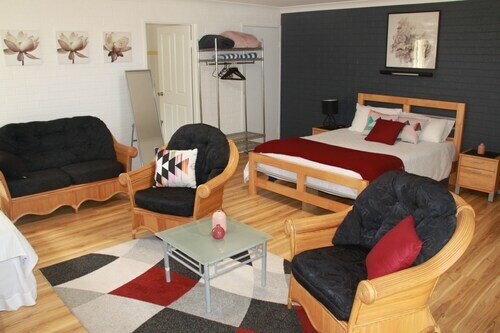 Hotels in Salamander Bay start at AU$116 per night. Prices and availability subject to change. Additional terms may apply. The carpet was putrid. Absolutely disgusting. Very disappointing stay. Gaining access was a nightmare. Cockroaches everywhere as well. Wouldn’t stay there again . I like a property lay out with pool surrounding it. Nice palm trees and beaches, looks like oasis pleasing to eyes.